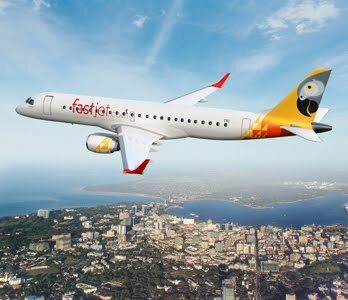 Solenta Aviation Holdings Limited (SAHL) has taken control of fastjet plc after acquiring an additional 24.5% stake in the UK-listed African low-fare airline. Fastjet plc said the virtual carrier is benefiting from strong market conditions and is expected to deliver up to around USD23.0 million in revenue in 2019. As such, with the prospect of more routes being opened up in Mozambique, the carrier is expected the operation to turn cash-flow positive in 2020. The move comes after fastjet entered into multiple transactions which increased its equity base by at least USD40.0 million following warnings over the past 4 weeks that its weak cash position threatened its viability. A filing with the London Stock Exchange (LSE) on Friday, November 16, said the South Africa-based aviation holding had agreed to subscribe to 316.7 million fastjet shares for a total of USD4.1 million. Solenta’s stake in the company subsequently rose from 29.8% to 54.3% while its voting shares have risen from 29.8% to 60.2%.